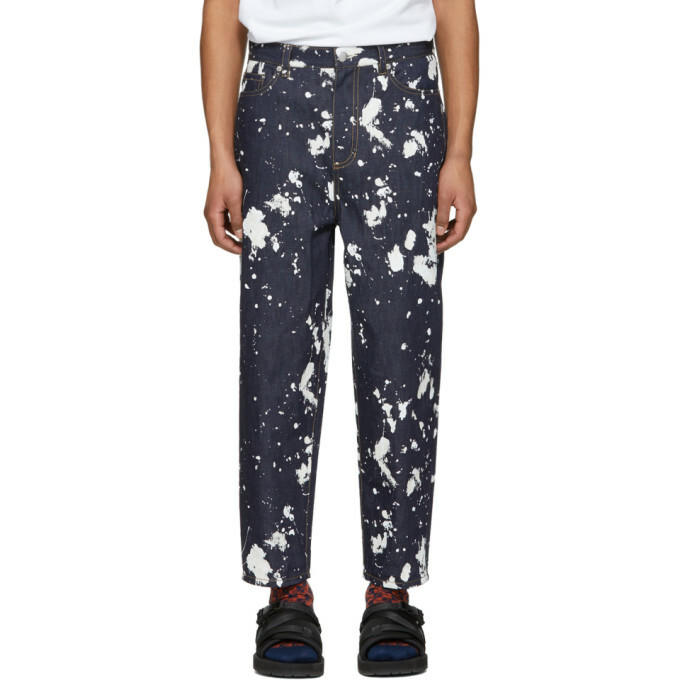 Tapered cotton and linen blend denim jeans in indigo featuring white paint splatter effect throughout. Mid rise. Five pocket styling. Zip fly. Silver tone hardware. Contrast stitching in tan. Approx. 6 leg opening.